Did you know that for every 1 person killed by a shark each year, 25 MILLION sharks are killed by people? And that number is growing! 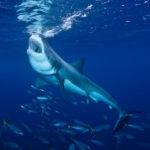 There are many reasons sharks are killed spanning anywhere from sport fishing to supplements and shark steaks, but one of the primary reasons sharks are killed is for their fins. The recipe below for Shark Fin Cheese bites is a great recipe to help you crush your next Keto Reboot Tailgate or a tasty treat to add to your kid’s keto lunchbox. And it gives you a great opportunity to spread the word about sharks! Cut your favorite cheese into “shark fin” triangles. 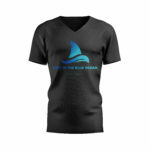 You can help save the sharks while flaunting that keto fashion by purchasing our limited edition Blue Ocean Shirt. All proceeds from the purchase of this shirt go towards helping save the sharks!